Finn ready to get going . 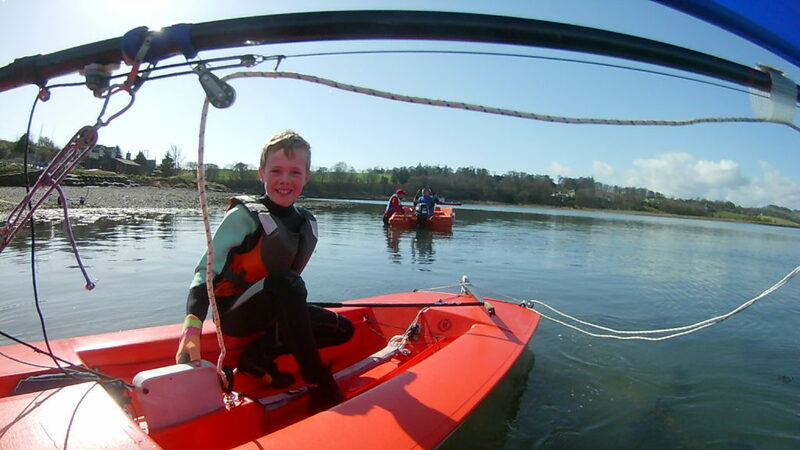 We had great weather for beginners on Sunday at the Sailing Club and new member Finn made the most of it by going solo in a Topper for the very first time. Not only did he manage to sail the boat, very well, on his first attempt but he also went on to capsize, successfully right it again and sail in to shore. He was cold but still smiling at the end of it and plans to be back next week. Not bad going for the first sail of the season. Finn trying out his new skills.